The final National Defense Authorization Act is expected to be signed into law soon. As a member of the bipartisan House and Senate Committee that wrote the final bill, I am proud of the critical investments we delivered for Ohio. We were able to secure a final bill that not only includes Ohio’s defense priorities, but also protects military and civilian jobs that fuel our local economies. In Dayton, we are getting the largest military construction investment ever for Wright-Patterson’s National Air and Space Intelligence Center. And we secured a provision in the Senate bill to block the Department of Defense from moving forward with plans to transfer important Air Force Research Lab responsibilities away from Wright-Patt. We were also able to fight back against a House provision that called on the Pentagon to slash civilian defense jobs at facilities like the Defense Finance and Accounting Service and the Defense Logistics Agency in Columbus and Cleveland. We secured investments to the stryker and Abrams Tank at Lima’s Joint Systems Manufacturing Center, where they’ll be able to expand production. And in the Mahoning Valley, we’re investing funds to construct a new gun range at Camp Ravenna and make gate upgrades at Youngstown Air Reserve Station. In Mansfield, the women and men of 179th Airlift Wing carry out missions that are critical to our national security and Mansfield’s economy. That’s why we are delivering funds to replace the fire station at Mansfield Lahm Air National Guard Base. And we secured funds to construct a small arms range at Rickenbacker Air National Guard Base, so that the 121st Air Refueling Wing has access to the training resources it needs to carry out its missions. Not only were we able to include Ohio’s defense priorities in the final bill, but we were able to improve the process for connecting servicemembers with education, training, and job opportunities when they leave the service. Our men and women in uniform have already answered the call to serve. My provision that I introduced with my Republican colleague, Sen. Rounds, will help veterans get the support they need to make the transition to civilian life. At a time when there’s not nearly enough bipartisan cooperation in Washington, Democrats and Republicans came together to protect defense jobs and protect our national security. I urge Congress to act quickly to pass the final version of this bill, so that we can get it to the President’s desk and signed into law. 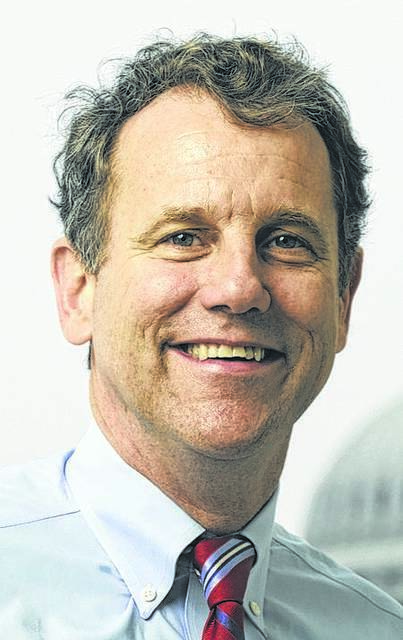 Sherrod Brown is a Democratic senator representing Ohio. It is not necessarily the opinion of The Lima News or of AIM Media, its owner.